RDP housing might be an answer to the housing shortage but they only provide a basic structure with no added details and very little in the way of elements that make a house a home, and not even as much as that in some cases. Even on a small budget you can buy a few materials and supplies at your local Builders Warehouse to turn any RDP house into a place to call home. South Africa comprises a nation of people that are homeless. 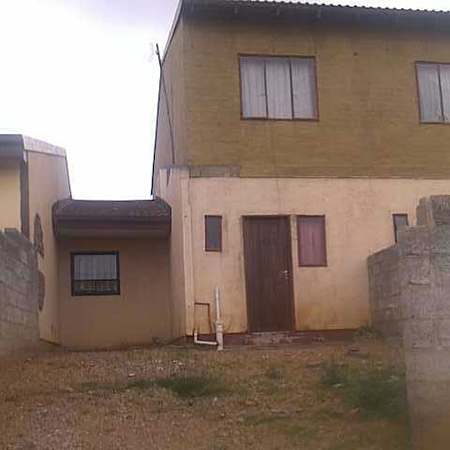 The government solution to provide housing for millions is the construction of cheap RDP houses. 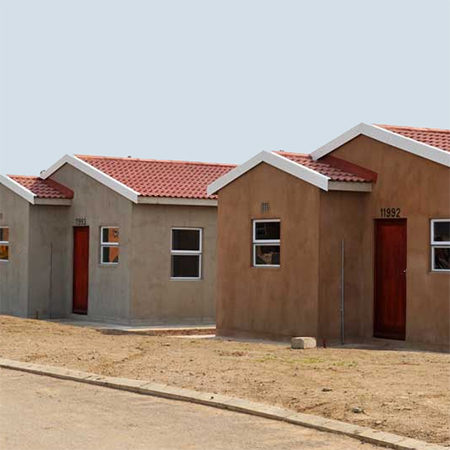 But RDP houses are built to provide nothing more that floors, walls, a roof and very basic amenities. 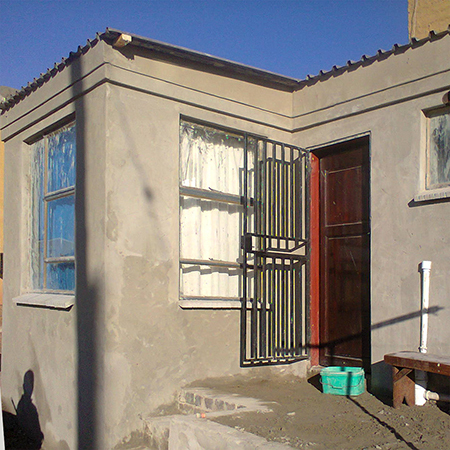 So what can be done to improve living conditions in RDP houses? Obviously there are plenty of options that can be considered for improving an RDP house and, while not all improvements can be done at one time, empowering yourself with DIY skills and learning a few basics will go a long way towards keeping costs as low as possible and allowing a homeowner the freedom to take on projects as and when these can be afforded. Since a roof protects a house, the best place to start when planning any improvements would be at this level. A house fitted with a tiled roof should be protected from the elements, but many RDP homes fitted with IBR or sheet metal roofing have to put up with leaks and draughts. 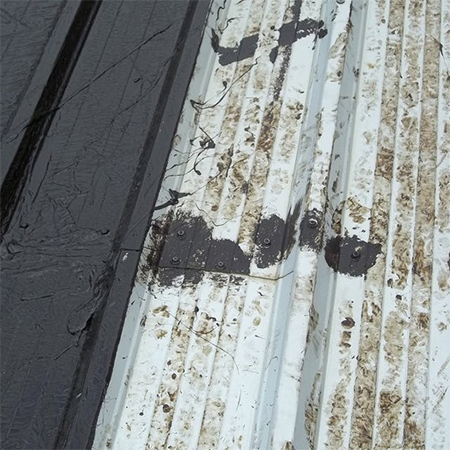 An IBR or sheet metal roof that leaks should be checked to see that joins properly overlap, that roofing screws was been properly sealed, and that the ridge line that runs along the length of the roof has been fitted properly. Where improper installation has not be done you can remedy most of these with waterproofing membranes and paints that you will find at your local Builders Warehouse. 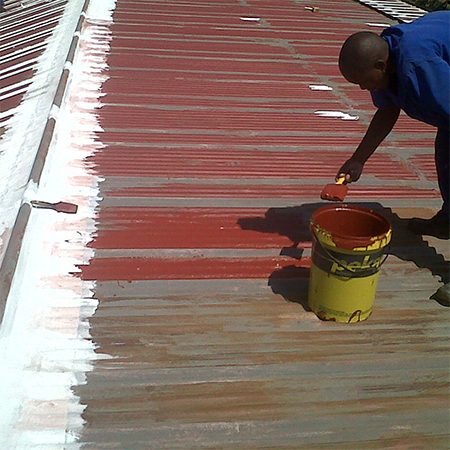 Where extensive patching up or repairs need to be done it's probably best to get in touch with a roofing contractor that specialises in this type of project. That way you get the work done properly and have a guarantee on the job. Most RDP houses offer nothing more than a shell, although some may have one or two interior walls to divide up the living space. Adding interior walls or partitioning to close off individual rooms for privacy and to improve living conditions only requires basic building skills. 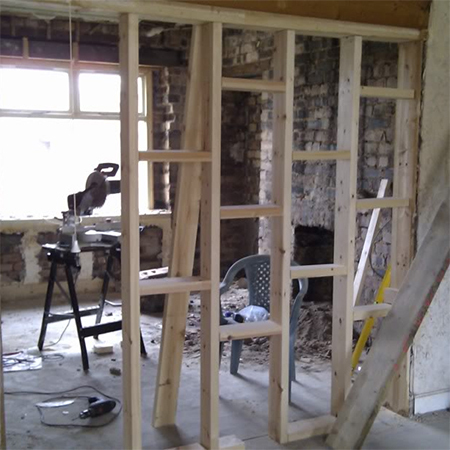 With a concrete slab already in place, building a brick wall or adding a timber frame partition clad with gypsum ceiling board is an easy way to add interior walls if you want to divide an open space into separate rooms. Stock, cement bricks of blocks are the most inexpensive way to add interior walls, but if you are looking for a quick and easy solution then consider timber framing and cladding. Cement stock bricks are also an affordable way to add on extra rooms. Nancy Muchangwa, one of our Joburg DIY Divas, recently undertook a home improvement project to add on extra rooms to her RDP house. The original structure only had a bathroom with a small sink, a toilet, and a shower head fitting in the ceiling - with a hole in the floor for drainage. 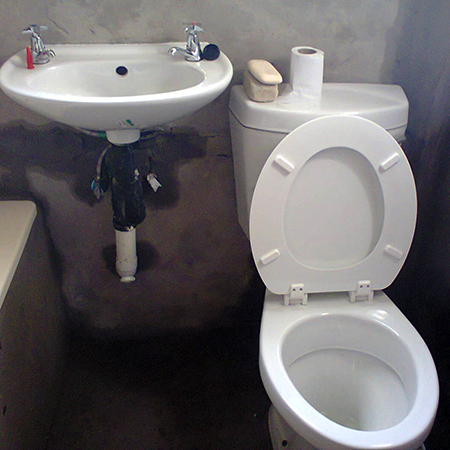 The home improvement project included added on a new bathroom and an extra bedroom. Nancy digging out foundation for the new additions. You will find plenty of information on the Internet for the proper procedures to follow for adding on to a property. 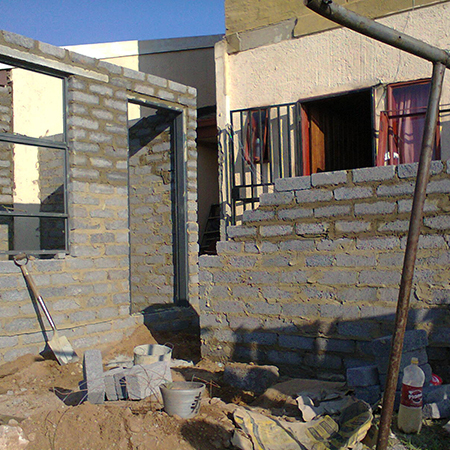 A double-wall exterior addition requires that 600mm deep foundations be laid for a wall that is two bricks thick. Once the foundations have been poured these need to stand for a week before you start building on top. If you need any advice on concrete mixes, visit the Concrete Institute -www.theconcreteinstitute.org.za - where you can download leaflets on various topics relating to cement, mortar and plaster mixes. 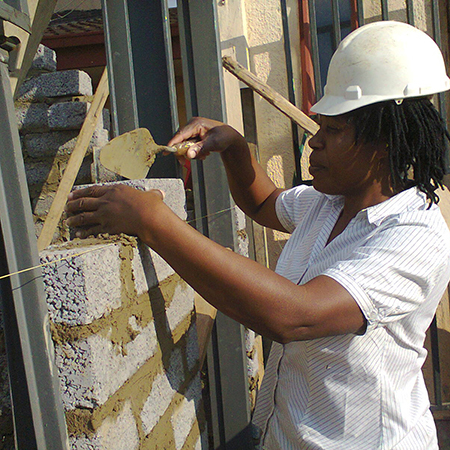 Bricklaying is not difficult if you acquire the basic knowledge and skills to do it yourself. You will find that most cement suppliers offer detailed documentation on their websites that explain and show how to lay bricks. 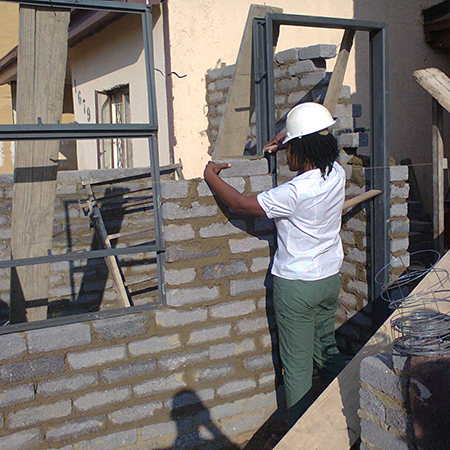 We found quite a bit of detailed information on how to bricklaying - www.afrisam.co.za - on the AfriSam website. You will also find information on mixing cement and methods for successful plastering. 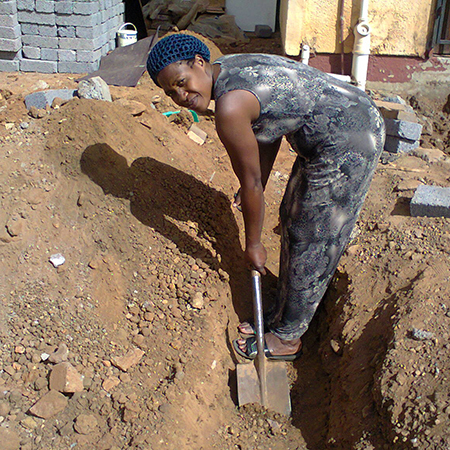 Nancy now has a brand new bathroom with affordable sanitary ware and fittings from Builders Warehouse. All that still needs to be done is to add tiling to wall and floors, another DIY project that Nancy will be doing in the next month or so. Whatever repairs or improvements you need or want to do to an RDP house, plan for each project and work out what you will need. If you can't afford to do it all in one go - organise the project in order of priority and do each one as and when you can afford to.